 ​Which reverberates at the field of love and battles. Who is the oppressed and who is oppressing? Extended from Woyzeck in 2013, Heteroglossia presents Georg Büchner’s Woyzeck from the point of sound this year. It adapts foley techniques of film business at theatre and makes foley artists stage performers along with actors and dancers. Sound is another instrument to convey and interpreter main character’s inner world. Leung is the core member of Heteroglossia. Fong finished his Master’s Program in Performing Arts Course, 2012, in National Taiwan University of Arts in Taiwan. He majored in interdisciplinary performance, cross culture theatre and theatre aesthetics. Fong founded Heteroglossia in 2013 and has been the core member since then. 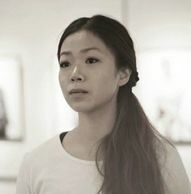 Ng, a Hong Kong born artist, received her BA (Hons) Degree in Dance from Hong Kong Academy for Performing Arts, 2014. She is currently a freelance artist which allows her working with different groups as a dancer, choreographer, actor and teacher in various projects. 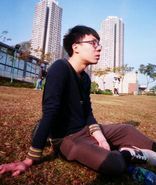 Lo, BA (AS) in Architecture from the The University of Hong Kong, was granted to study the master program of stage design in Yale University in 2009; and received The Donald and Zorka Oenslager Scholarship in Stage Design in 2010. After coming back to Hong Kong, her stage works won the Best Stage Design in the 24th Hong Kong Drama Award and the 7th The Hong Kong Theatre Libre. She now is a freelance theatre designer and teacher at HKICC Lee Shau Kee School of Creativity. 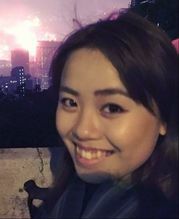 Cheng graduated from Hong Kong Academy for Performing Arts, 2016, majored in set and costume design. Apart from stage production, she also works in community oral history theatre project as costume designer. Hu is a freelance sound engineer. He worked in in Cirque du Soleil and many big pop concerts as sound control, also participated in many musicals as sound engineer.